BackICAR-CSWRI, Avikanagar organizes live telecast programme of Hon’ble Prime Minister talk with farmers in village Chosla. The ICAR-Central Sheep and Wool Research Institute, Avikanagar organized a live telecast programme of Hon’ble Prime Minister of India, Sh. Narendra Modi’s talk with farmers on doubling farmers’ income by 2022. ICAR-CSWRI, Avikanagar organized this live telecast programme in Farmer FIRST project village at Chosla. 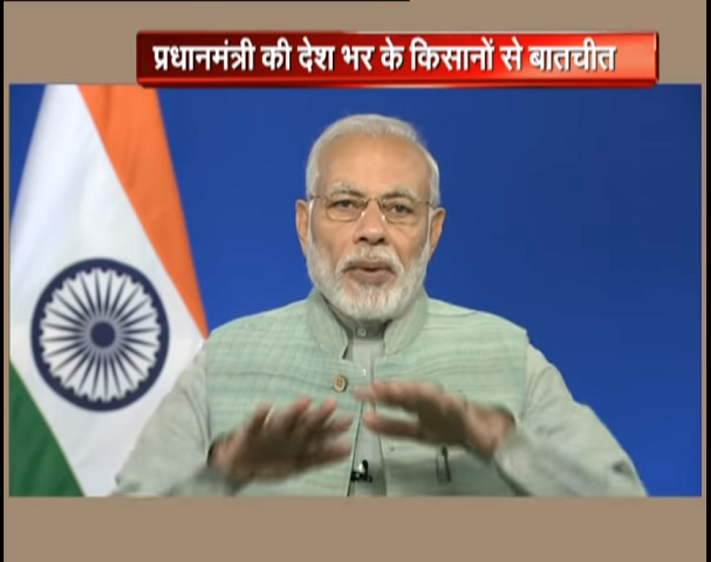 Talking with farmers via video conferencing, Prime Minister Modi said his government has doubled the budget for agriculture to Rs 2.12 lakh crore to achieve its objective of doubling farm income by 2022. He said the four cornerstones for raising farm income are cutting input cost, fair price for the crop, preventing the produce from rotting and creating alternate sources of income. Our effort is to provide farmers assistance at all stage of agriculture -- at the time of sowing, after sowing and at the time of harvesting, he said. The programme was attended by more than 40 farmers. In the end of the programme, Acting Director of the Institute, Dr. A. Sahoo interacted with the farmers on doubling farmers’ income and elaborated various schemes of the Govt. of India. In this program, Dr. Raghvendra Singh, Head, Animal Physiology and Biochemistry, Dr. C.P. Swarnkar, Scientist (SG) were also present and interacted with the farmers and addressed their queries. The programme was coordinated by Dr. Raj Kumar, Dr. Leela Ram Gurjar and Dr. Prasanta Kumar Mallick.